Lynne Nevill was born abroad to American parents, but the family quickly returned to Dad’s native Texas, where Lynne grew up. All three children started piano quite young, and then also played woodwinds in band through high school. Lynne attended a performing arts high school and later earned her degree in Music, starting at the University of North Texas, and finishing at the University of St. Thomas. She also earned a degree in German at the University of Houston, and studied several other languages as well. She has experience playing not only piano and several woodwinds, but also percussion (orchestras and small ensembles), and singing (choirs and small ensembles). Lynne settled in Dallas years ago when she married trumpet teacher Jeff Smiley. 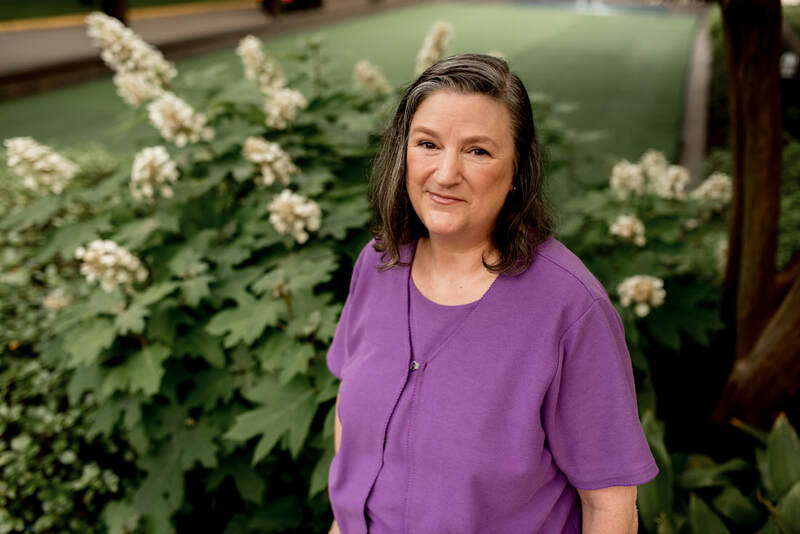 She’s been teaching piano for over 25 years, and is a long-time member of Dallas Music Teachers Association, having held various offices and board positions over the years. Most of her students participate in the state theory test, and those interested also enroll in special festivals and in the exams for the Canadian Royal Conservatory of Music. She also serves as the coordinator for these international exams in the Dallas area. She enjoys arranging music and has written a number of original compositions as well – most often, keyboard ensembles for students. She also has many years of experience accompanying band and orchestra students at their UIL and pre-UIL solo contests, and school concerts. Lynne has broad musical tastes herself, and gladly gives students a lot of freedom in choosing their special performance pieces – “Because life is too short, and there is way too much variety of music in the world, to play music that you don’t like!” As you might expect, she’s also very supportive of students who enrich their lives by participating in bands, orchestras, or choirs. She’s relaxed and approachable at lessons, making a point of tailoring her instruction to the personality and needs of the child, and always striving for that sweet point of balance – neither too much, nor too little challenge.